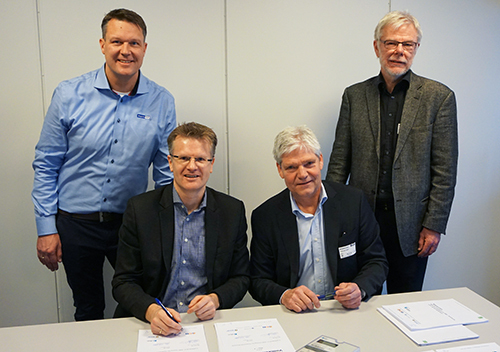 On 18th December Aidon signed a contract with Glitre Energi Nett and Øvre Eiker Energi for the delivery of a turn-key Automated Metering Infrastructure (AMI) project. In Norway, there are about 2.9 million energy meters to be renewed by the beginning of 2019. Cooperation project Smart Strøm Østafjells (SSØ) was the last contract to be signed in Norway, and with it, Aidon has won totally around 1.5 million metering points with end-to-end AMI, including advanced RF communication solution and versatile smart grid functionality. – We knew that Norway would be the most advanced and demanding AMI market in Europe up to now and we had high ambitions for it. I am very glad that we have exceeded our business goals in Norway and I’m grateful to the energy distribution system operators which have valued our solution. Success in such an advanced market as Norway gives us excellent capabilities to proceed in other markets in the next stage. – We received numerous well-qualified offers, and after an extensive and thorough review, we chose Aidon based on criteria such as quality, functionality and technology. We strongly believe that Aidon will deliver the best results for our 100,000 customers in eight Norwegian municipalities. – Our technology and our commitment to enhance it during the system’s life time has given us the competitive edge which our customers value. We clearly see that Glitre Energi Nett and Øvre Eiker Energi are ambitious when it comes to smarter grids, proactive analysis of their distribution net, connections to other sensors in the network, and how this can make them a forerunner as a DSO. The new smart solution from Aidon will bring the meter reading system’s functionality and performance to a new level, making a wide range of valuable information available to the energy distribution companies. Deployment of Aidon’s new system will start in 2016, and will be completed by the end of 2018. From left: Steffen Fagerås, Service director of Ringeriks-Kraft Service, Tore Morten Wetterhus, Managing Director of Glitre Energi Nett, Thor-Erik Næss, Managing director of Aidon in Norway and Lars Øivind Andresen, Managing director of Øvre Eiker Nett.